Music By Back Porch Orchestra Beginning at 1:00pm. Lawn Games, Face Painting, Music, Delicious Ice Cream Specials, Fun & More! 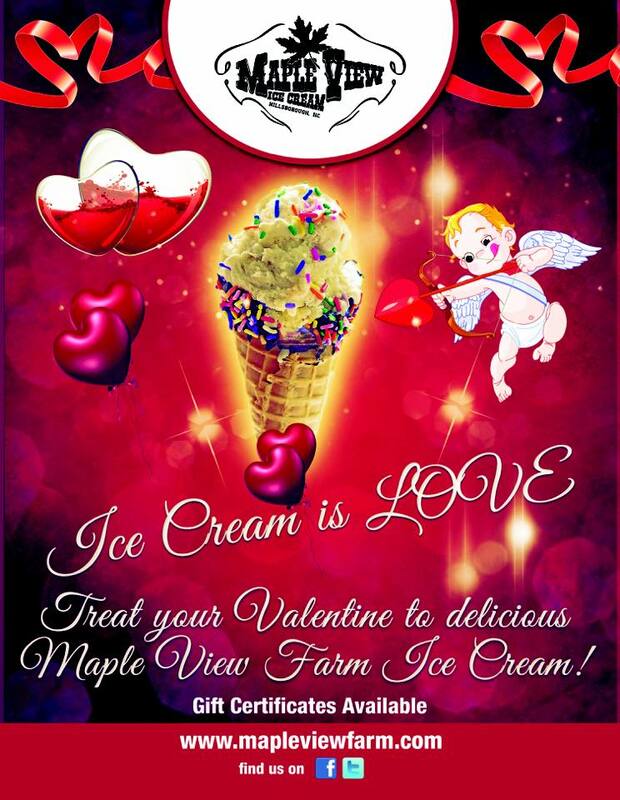 The Maple View Farm Ice Cream Annual Easter Egg Hunt will be held on Saturday, March 28th. Registration starts at 1 PM and the hunt begins at 2 PM. The event is free to all. We will be accepting donations for Sam’s Wish Fund at Kids Path of Hospice. Proceeds from the sale of our special sundae will also benefit the fund. Come out for great family fun, prizes and candy! There are three age groups for the hunt 3 & under, 4-6, and 7-10 year olds. The Easter Bunny and Maple the Maple View Mascot will be here to join in on the fun! Celebrate St. Patrick’s Day with us all weekend long! Monday, March 9th – Tuesday, March 17th. Visit Maple View Ice Cream for a Shamrock Sundae and help support Sam’s Wish Fund & Kids Path of Hospice. Choose from our delicious St. Patrick’s Day ice cream flavors, hot fudge or hot caramel; top it off with whipped cream, green sprinkles and a cherry! 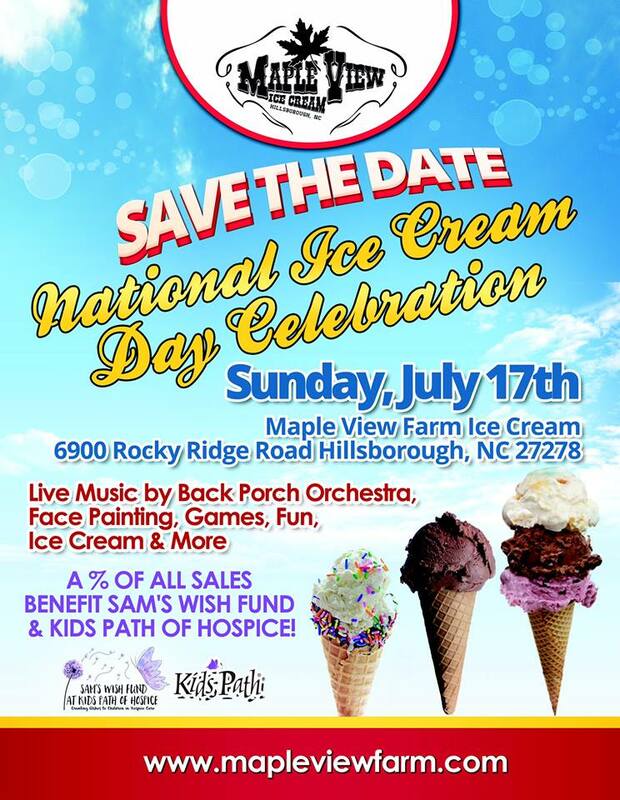 A percentage from the sale of each sundae benefits Sam’s Wish Fund & Kids Path of Hospice. The fund grants wishes to terminally ill children in our local area. Kids Path provides medical services to local children as well as counseling and support. Help us fill our “pot of gold” for Hospice! We will be collecting donations for Kids Path & Sam’s Wish Fund at Hospice. It is our goal to fill our special St. Patrick’s Day pot with donations to help very special children in our local area. Come out and indulge for a great cause! All donations are tax deductible. 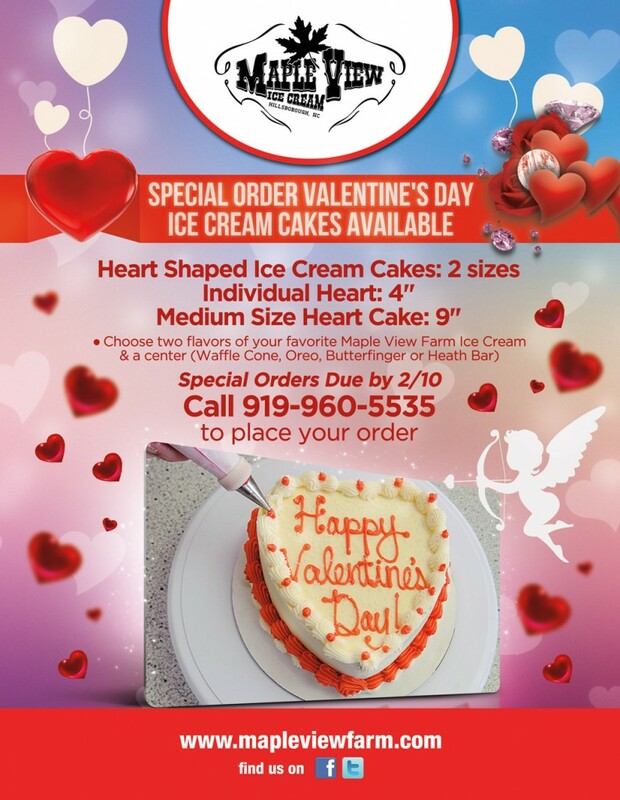 Checks may be written to Kids Path of Hospice with Sam’s Wish Fund on the memo line.